As a fan of Uncharted, would you recommend the classic Tomb Raider games? I remember playing a demo for a Tomb Raider game back in the day on PS1 where you try to escape a prison cell. 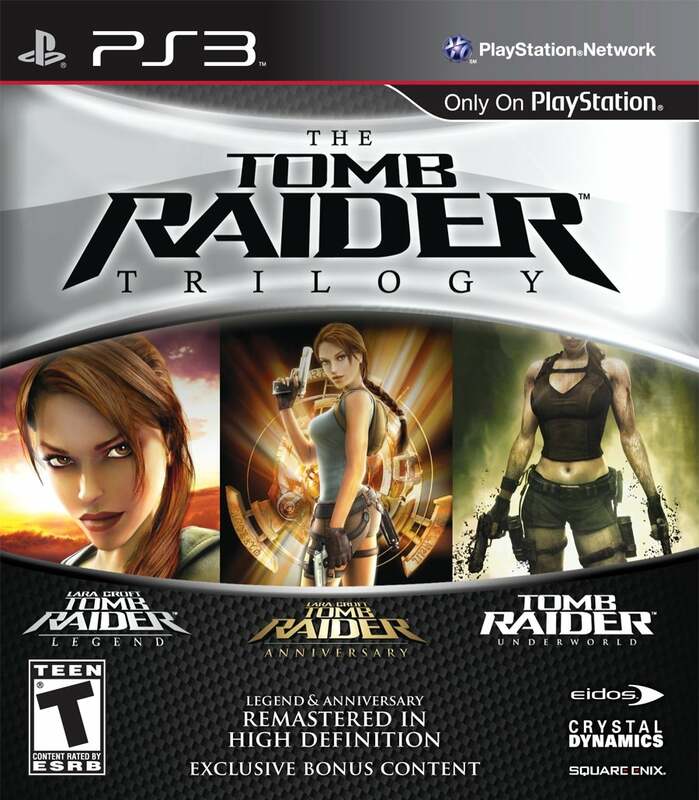 If I recall correctly, you are immediately thrown into the alarming situation -- literally, with alarms blaring -- and because this was my first experience with the Tomb Raider series at a young age, I never figured out how to complete the section without dying. To be fair, with the PS1, I also started out playing RPGs (which is why I'm a big fan of turn-based combat) so I blame myself for not being good at shooters and failing to remain calm under pressure. Even with new games, I feel most comfortable playing on Easy/Normal difficulty. Anyways, I've played just about every Uncharted game except for A Thief's End and The Lost Legacy. I'm still planning on playing them of course but I wonder if it would be a good idea to revisit the classic Tomb Raider games? Or should I forget about them and check out Anniversary and Underworld? To my understanding, the first and second era games aren't available on PS4 yet. Obviously, Tomb Raider (2013) and Rise of the Tomb Raider are the most recent games in the series but this thread is about the legacy of games where Lara Croft was still known for her big... "adventures". I'd go with Anniversary and underworld. If you've played Uncharted, it's basically going to have killed your patience for the older games. Plus these ones actually cover the games people actually care about. IIRC, it's the third TR people really have no love for, i forget its name. Lara on PS1 controls like a tank (literally). The Anniversary titles at least play similar to Underworld, which is much newer and (while still quite stiff) fairs better against Uncharted. If you aren't spoiled by the slick animation in Uncharted though, go ham on the old school classics! all the ones after the 3rd game are bearable. You would suprise how much secrets those 600 mbs have. Dark souls like traps. At least they felt like that back in the day. The ps1 era games have nothing to do with the uncharted formula at all so if you like them or not will have little to do with that. Those were very slow and atmospheric games where exploration, puzzles and "careful" platforming were the real pillars of the gameplay, not so much the action. That being said, those games feel quite dated for today's standards, if you were to re-visit an older styled Tomb Raider game I'd recommend this. Better controls, HD visuals and 3 games in one. Ps: That demo you described is the one for TR3, I played it back in the day too. Tomb Raider on the PS1 is one of my favorite games of all time. That game mastered exploration as it was meant to be played. You were not killing people left and right. You were mostly killing animals like gorillas, tigers, alligators and a T-Rex. Every once in a while you would run in to a person to fight and because you rarely see people in the game, this made the encounters more intense. This game put exploring and puzzle solving first. It is the only Tomb Raider game that actually feels like you are raiding tombs. Tomb Raider Anniversary completely ruins the experience. They screwed it up by making the game shorter and changing too much about what made it great in the first place. Did they ever reintroduce killing animals in newer games? If they did, it would be interesting to see all of the different animations and enemy behavior. There are animals but it is 95% killing people. It is nothing like Tomb Raider 1. Animals now are mostly for hunting purposes.